I’ve been cooking up a storm this week! Keeping this post short, but it’s YUMMY so I hope you try it! 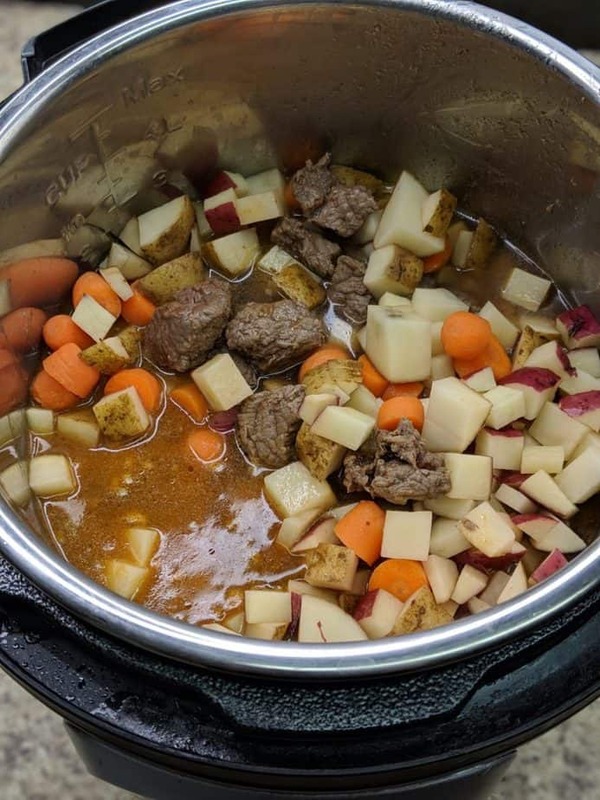 With Weight Watchers, you can easily change the ingredients for your beef stew, just remember to count points if you’re adding anything that isn’t on the zero point list. As prepared, this stew is 6 servings (or more!) and 6 Freestyle SmartPoints for each hearty serving. 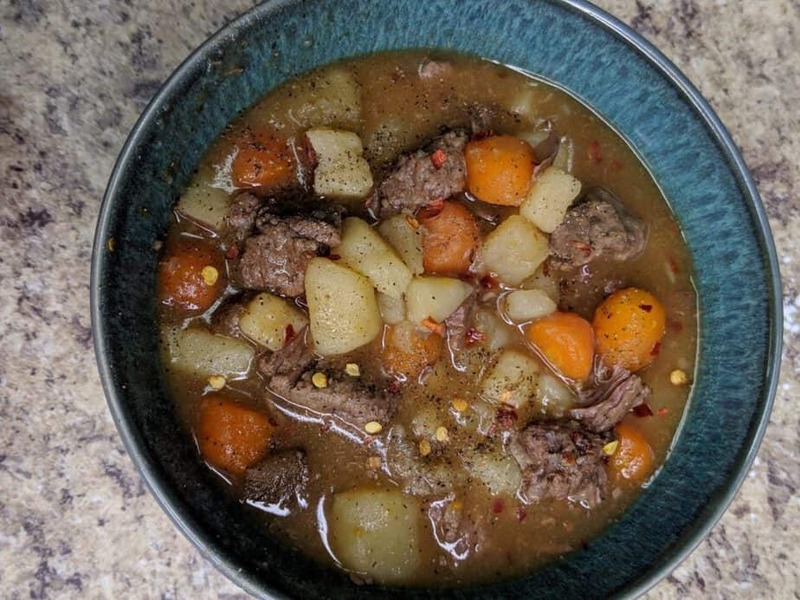 This stew is hearty, filling, tasty, and easy to make! In a bowl, combine beef, pepper and 1 tablespoon soy sauce. Select "Sauté" on the Instant Pot. Add 2 tablespoons olive oil to the pot, then add beef. Brown on one side (it'll take just a minute or two), flip over and sauté the beef on the other side. Remove meat from InstantPot (it's not fully cooked at this point - that's okay!). Add a tablespoon of your oil, plus the garlic. Sauté for 30 seconds. 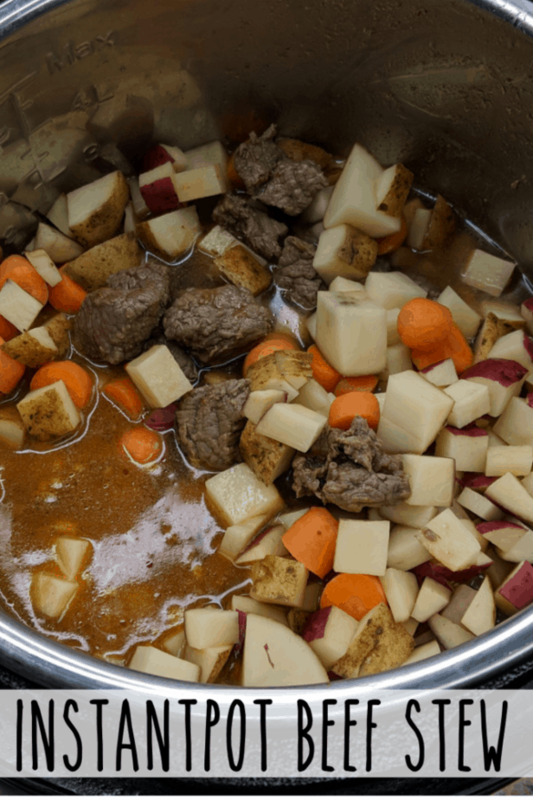 Add the potatoes, carrots, celery, beef, beef broth, and remaining soy sauce. Place the lid on the Instant Pot, turn and lock the lid, making sure the valve is in the "sealing" position. Press the "Manual" button on the InstantPot on high pressure, and then set the timer to 20 minutes. While cooking, in a small bowl, combine cornstarch and water. Once cook time is complete, allow the pressure to naturally release for about 10 minutes. Move the lever to venting (be careful!) and remove the lid. Select "Sauté" on the InstantPot. The mixture will start to boil. Add the cornstarch mixture at this time. Cook, stirring until the liquid is thickened. Turn off heat.